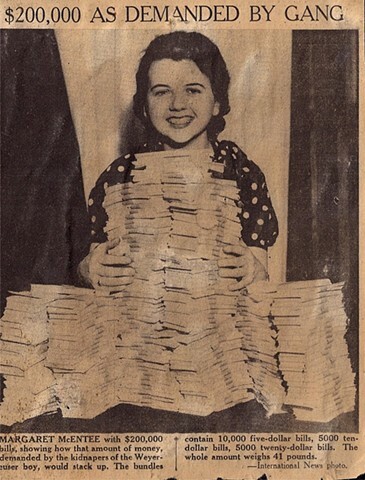 Margaret McEntee with $200,000 bills, showing how that amount of money, demanded by the kidnapers of the Weyereuser boy, would stack up. The bundles contain 10,000 five-dollar bills, 5000 ten-dollar bills, 5000 twenty-dollar bills. The whole amount weighs 41 pounds.